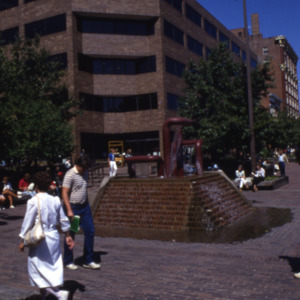 Photographs of downtown Iowa City Pedestrian Mall at College Street and interior of the Old Capitol Mall, downtown Iowa City. 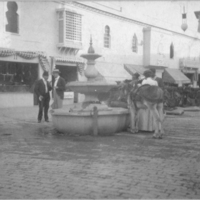 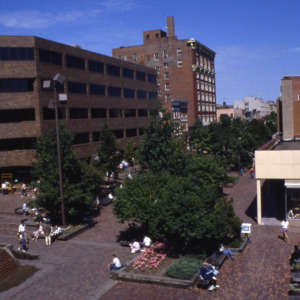 Plaza Centre One, Hotel Jefferson, Pedestrian Mall. 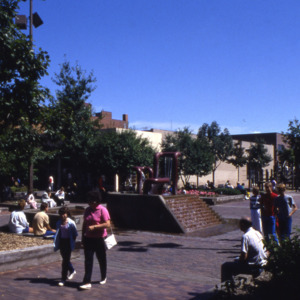 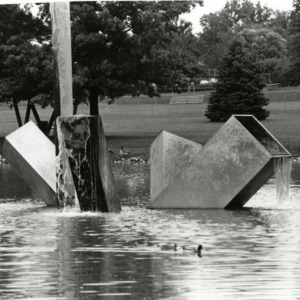 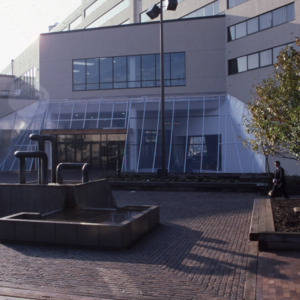 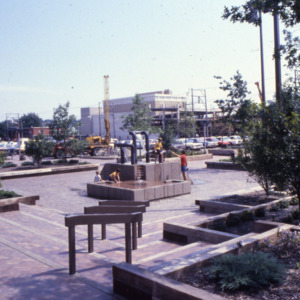 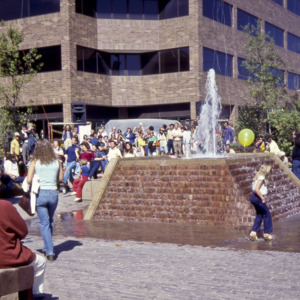 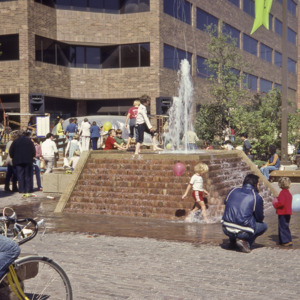 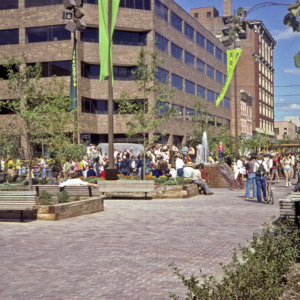 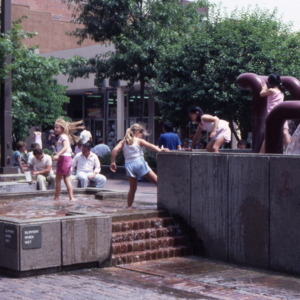 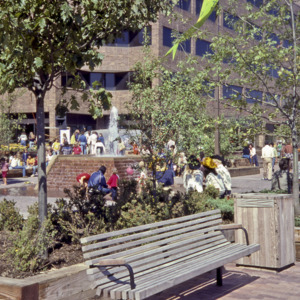 View of the pedestrian mall in downtown Iowa City, finished in 1978, with a focus on the fountain at the corner of Dubuque and College St. 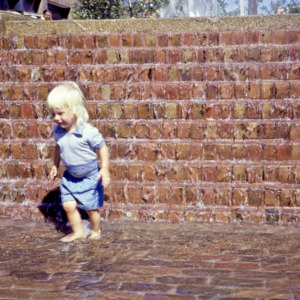 Subscribers paid one dollar for each brick in the fountain. 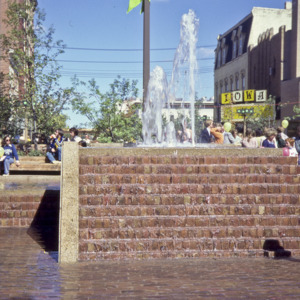 View of the pedestrian mall in downtown Iowa City, finished in 1978, with a focus on the fountain at the corner of Dubuque and College St.
View of the pedestrian mall in downtown Iowa City, with a focus on the fountain at the corner of Dubuque and College St.
Appears to be a travel photo taken in the Middle East. 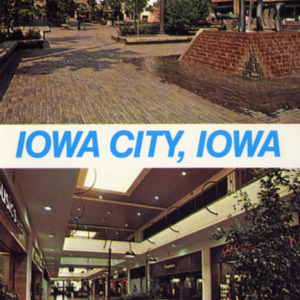 Information unconfirmed.